Flowers add a little natural beauty to your wedding day. Find out how to put them to use. There is a special flower to get your spouse for each anniversary. 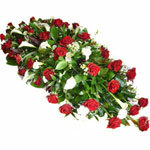 Get the right flowers for times of great loss and sorrow. Flowers are everywhere! If you are planning a wedding, giving people gifts, or wanting to decorate chances are flowers will be involved. If you are starting to plan a wedding, it can be a very intimidating and overwhelming task. 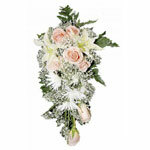 This site will help to alleviate one aspect of the wedding planning, flowers! We have information for those of you wedding planners relating to bridal bouquets, flowers as wedding decorations and even flower girls. We offer tips on finding a wedding florist if you just want to have some take care of all the floral arrangements for you. For those of you who are researching the right flowers to buy for your family and friends, we have got you covered. We have articles to help you with Mother's Day, Valentine's Day and even Anniversaries. Did you know that there there is a special flower for each special Anniversary just like the traditional anniversary gifts? Not only have we collected and put all this information together in one easy place, but we even offer tips and tricks on sending your flowers to your loved ones. 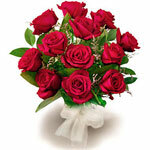 This web site is your one stop source for all thing related to flowers. It has been created to inform and help others who need to know about the right flowers, for the right time and how to get them. If you cannot find the information pertaining the flower topic you would like, chances are we are still in the process of writing it. Feel free to contact us with your questions and we do our best to get back to you as soon as possible.